In recent days, Tambaram has turned out to be a dream location for both real estate developers and buyers. Located in South Chennai, it has a blend of commercial and residential real estate activities in both Tambaram East and Tambaram West. Majorly, in the residential sector there have been a vast range of projects which includes Duplex Apartments, Luxury Villas and more. The experts from the real estate industry have advised to invest in Tambaram to avail various advantages. 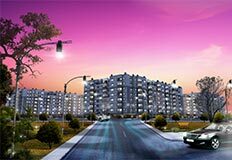 Following are the reasons to buy an apartment in Tambaram and why it is mostly preferred. Surrounded by famous schools, colleges, bazaars and shopping malls make Tambaram a desirable choice of residence. The locality of Tamabram is safe and secured by the presence of police stations, fire stations, street lights etc. Another big advantage of Tambaram is the Infrastructure which includes proper maintenance of sewerage & sweeping roads on regular basis. Apart from this, it has good transportation facilities within Tambaram by the means of buses, autos and taxis. Flats in Tambaram are built in the serene location surrounded river, lush and green environment. You can experience the tranquil atmosphere which leads to a peaceful and joyful living. In the vicinity, there are temples like Kundrathur Temple, Thiruneermalai Temple and many more. 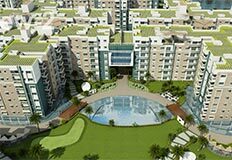 If you are looking to buy an apartment in Chennai that caters to all your needs, Tambaram is the ultimate choice. 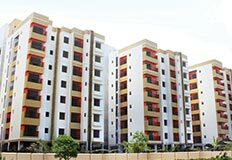 Buy an apartment in Tambaram today and make a smart investment.